SDI Matrix Switchers Corporation WolfPack™ 36x36 Seamless Modular SDI Matrix Switcher is an integrated SDI video and SDI audio modular SDI chassis. The chassis back plane allows various technologies, like SDI, to be converted and switched eliminating external converters. This 36x36 SDI Matrix Switcher allows any input to be routed to any output, or the same input to be routed to all outputs, or any combination using SDI input and SDI output cards or other cards of different or mixed technologies. A built-in LCD lets view your selections directly on the front of the SDI matrix switcher. The core of the 36x36 SDI Seamless Modular SDI Matrix Switcher Chassis consists of its highly configurable backplane that has 36 - seamless SDI input card slots & 36 - seamless SDI output card slots. It is 1080p/60 compliant. You can control the SDI Matrix Switcher via its iOS or Android app, a few simple button taps from the front panel buttons, a WEB GUI Browser control or the RS-232 serial port. The matrix does not have IR nor a remote control but can be controlled with its iOS and Android App as well as the above. 2 power supply system guarantees a more reliable way to use in any applications No more worries for the power supply down to cause any issues. The heart of the Seamless 36x36 Modular Matrix Router chassis allows customization of the number of SDI input and output cards to match every need of your system design and application. The matrix support hot-plugs and you can change the cards while the equipment is still working. Slide In SDI Cards: By having 1-port slide-in seamless SDI cards the matrix is very reliable as in the unlikely even there is a loss of signal you just replace the card with a spare you have purchased, use our 2 - Year WolfPackCare™ Advance Replace Warranty or order another from us. The complete matrix doesn't have to be sent to us for a repair. The WolfPack Modular SDI Matrix Routers manage many type of SDI signals. These Modular SDI Matrix Switchers support long SDI cables, maintains power reliability in the event of failure and offer the best flexible solutions in a complex SDI system deployment. 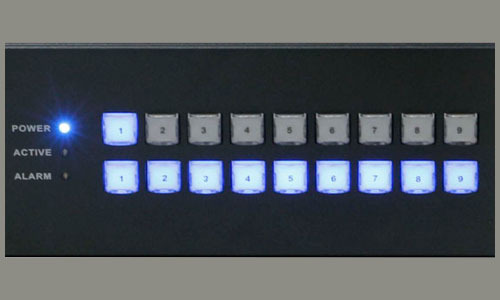 Seamless Switching: This WolfPack™ 36x36 SDI Matrix Switcher allows seamless switching between inputs with a clean video cut (frame-to-frame switching with no glitches). The WolfPack™ Seamless SDI Matrix Switchers advanced processor allows it to process up to 36-live signals simultaneously, that means it can seamlessly and instantly switch (~100ms) between 36-SDI inputs and 36-SDI outputs and automatically adapts to 3G, HD-SDI and SDI. Most non-seamless matrix switchers require a delay of several seconds before they can switch between devices but with this WolfPack seamless SDI family that wait time is completely eliminated. Via LAN port, to connect with the local network or WIFI router, users can download the IOS APP from the Apple store or from our website directly. Provides users more flexibility and convenience. Free Android and iOS App: The IOS App for this WolfPack card cage matrix is in the Apple Application Store and when you SEARCH the key words "MCS" or "Matrix Control System" you can download and install it to your iPad or iPhone. Also from your iPad or iPhone click the following link...MCS-matrix control system to install it directly. For the Android App click the following link and download it. Go to Android App for control of this SDI matrix switch. EDID HANDSHAKE MANAGEMENT: The Modular SDI Matrix Routers EDID provides for optimal source-to-screen switching. EDID will optimize the video card output for the capabilities of the end display. The EDID ghost unit enables the copying, emulating, cloning, and "learning" of EDID data from a display. 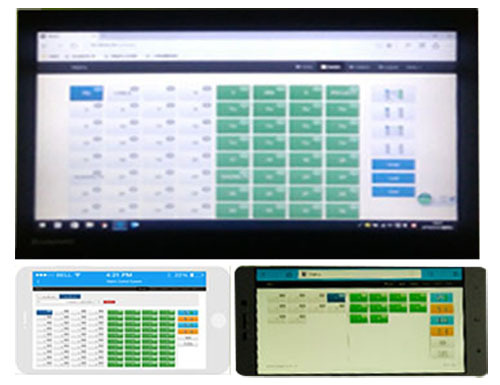 Our EDID Emulator and repeater comes with predefined presets, user programmable banks, Sink EDID sniffing bank and more. Our EDID Emulator ensures the SDI audio and video signal between any source and display and will resolve any loss of video, intermittent (flashing) video, snow or color-space (purple or red) issues. Why not buy this WolfPack Seamless 36x36 SDI Matrix Switcher today? 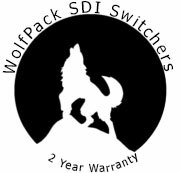 SDI Matrix Switchers Corporation includes a 2 Year WolfPackCare™ Advance Replace Limited Warranty on this matrix system. The warranty states that the Modular SDI Matrix Chassis will perform substantially in accordance with the accompanying written materials for a period of 2 years from the date of the receipt of the order & that the Modular Matrix Router will be free from defects in materials & workmanship under normal use. Slide-in Boards & HDBaseT Extenders: If a board or extender goes bad in the first 2-years and Matrix Routers Corporation Tech Support team verifys the problem after a telephone call, Matrix Routers Corporation will send a new or like-new unit usually within 24-hours by USPS Air Priority at our expense. We will ask for a credit card for payment in case the bad device is not sent back to us within 5-business days. You will need to provide us the tracking number as we will to you and you will need to pay for the devices return. Chassis or Power Supply: If the chassis or power supply goes bad and our tech support team verifys it we will send a new or like-new chassis usually within 24-hours by UPS ground at our expense. We will ask for a credit card for payment in case the bad chassis is not sent back to us within 5-business days. You will need to provide us the tracking number as we will to you and you will need to pay for the chassis return. In order to get a warranty replacement for a defective item our Support Team will verify the product is eligible for a warranty. An RMA number will then be issued. Shipped replacements will be in like new conditions, tested and all components included. Why not buy this Modular SDI Matrix Switcher today? All prices are in USD. Phone: +1-833-WolfPack (833-965-3722) © 2019 SDI Matrix Switcher Corporation. A Division of HDTVSupply.com.